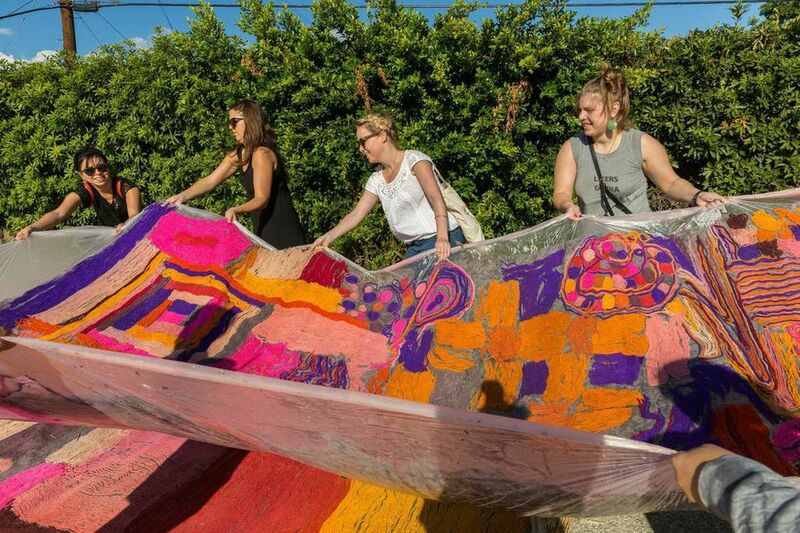 For Community Felt-In we created a 48 foot long fiber sculpture to activate unused public land while bringing attention to the Los Angeles River and simultaneously sharing skills and building community. We collectively laid out the design and felted the fiber through dance, using LA River Water. All materials were donated and food and live music were provided for participants. It was created for the 2014 Loving After Lifetimes of All This traveling exhibition which considered the connections between craft, self-care, and survival, as well as how intergenerational apprenticeship functions within historically disadvantaged or underserved populations.